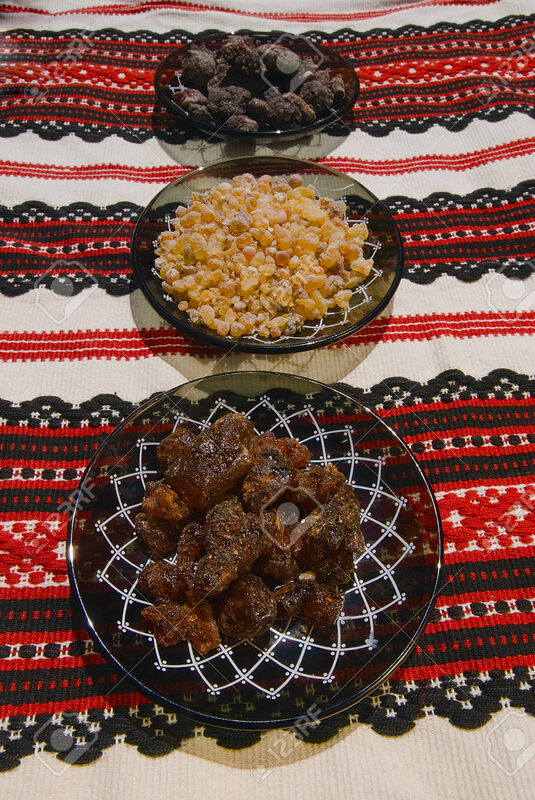 Different types of incense resins: Frankincense, Ethiopian Borena frankincense, and Opoponax sweet myrrh at the forefront. Photo: 123rf.com. Jasmine, Cardamom, Black Pepper, Elemi, Coriander, Clove, Carnation [mentioned by Unum but not included in other lists] Labdanum, Opoponax [sweet myrrh], Palisander Rosewood, Amber, Oakmoss, and Tonka Bean. Lavs opens on my skin with white myrrh smoke and nutty opoponax, laced with lemony woodiness from the elemi, and then dusted with a generous heaping of black pepper and a pinch of more amorphous spices. Moments later, more incense billows out, white and pure, but it feels as though a flicker of blacker frankincense were hovering in the background as well. None of it smells synthetic; all of it feels smooth and high-quality. There is something else too that is a little harder to describe: a pristine quality that goes beyond the olfactory purity of the notes to feel innately pure as well. And, yet, the incense has actual cleanliness to it as well, even if it isn’t precisely “clean” in the usual sense of the word. Quite often, myrrh or sweet myrrh skews quite soapy on my skin, but it doesn’t here. At least not at first. 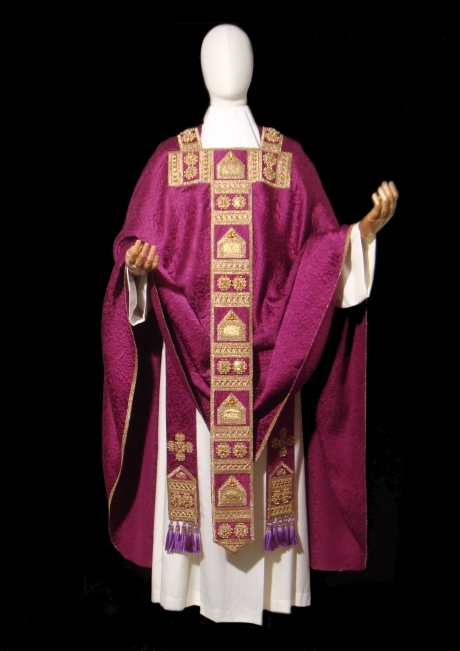 It’s simply clean in a different way, one that truly does conjure up images of white priestly vestments that bear the scent of an earlier Mass. Heeley‘s High Church scent, Cardinal, sought to recreate the actual scent of priestly linens in addition to the white smoke of liturgical ceremonies, but it simply smelled like cheaply synthetic cleanness infused with white musk and soapiness. Here, somehow, for reasons that I can’t explain, Lavs actually makes me think of church linens. 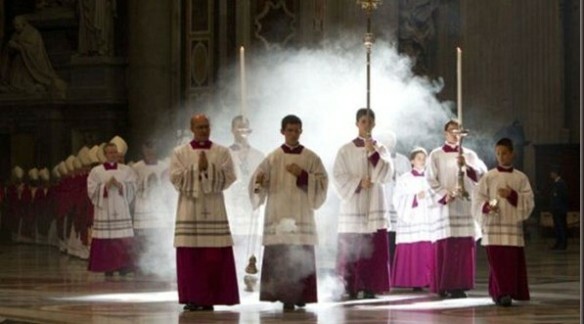 It’s at this point that I should confess something upfront: I don’t like liturgical incense. At all. I love frankincense, but not High Church myrrh or opoponax scents because most of them are soapy on my skin, which is pretty often a deal-breaker for me. It’s why I avoid Avignon like the plague and don’t review it, along with some other popular incense fragrances. But there is another problem as well: a number of High Church scents bear a musty, fusty quality that evokes old wooden pews, even more ancient crypts, and the dust of ages. It’s a scent that I love in old Catholic or Orthodox churches when I visit, but it’s not something that I would ever want to waft myself. It’s one of the reasons why I didn’t enjoy Jovoy‘s Liturgie des Heures, Profumum‘s Olibanum, or La Via del Profumo‘s Hindu Kush. Whether it’s pure myrrh, opoponax, or some combination thereof mixed with woody accords and olibanum, I simply don’t enjoy the coldness, the dusty woodiness, and the ancient mustiness, particularly in conjunction with soapiness. To my great relief and surprise, Lavs isn’t musty despite its woody underpinnings and it doesn’t evoke a dusty church, though the myrrh resin’s soapiness does suddenly emerge 10 minutes into the fragrance’s development. It’s tolerable, though, because it isn’t unbearably intense or synthetic in feel. Somehow, it just works here, and I think a big reason why is because there is far more going on with the incense, several counterbalancing elements which ultimately create a different focal point. Instead of being primarily dusty, musty, woody, or soapy, Lav’s incense is spicy and wee bit fiery, thanks to the black pepper. It works beautifully here, adding a bit of an unexpected kick to the billowing purity. The actual spices themselves are generally indistinct on my skin but, once in a while, a tiny pop of cloves bursts out from amidst the clouds. Equally quiet are the opoponax’s nuttiness and the labdanum’s golden warmth, neither of which are present in a clearly delineated, strong manner, but both of which seem to work indirectly to provide subtle curls of sweetness to prevent Lavs from ever skewing too cold, too barren, too austere. Much more noticeable, though, is the elemi which smells like lemony pine sap rather than pure woodiness or even the quiet smokiness that elemi can sometimes impart. You may not think that lemony tree sap would work so well with strong black pepper, billowing white incense, a linen-like cleanness, a pinch of cloves, and a dash of darker, woodier, brown spices, but it does. One reason may be because a number of actual incense resins have an lemony aroma in their hard form. Another is the fact that Lavs retains a subtle suggestion of woodiness that ties everything together. Lavs changes extremely slowly and in the most incremental degrees. At the end of the 1st hour and the start of the second, the black pepper seems to melt into the myrrh, becoming part and parcel of it. 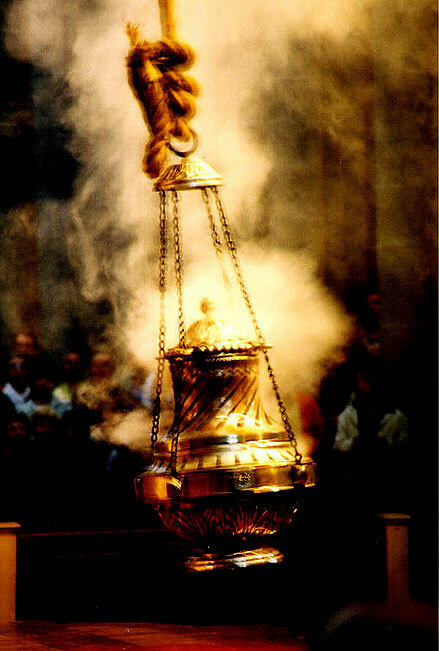 The incense itself is so pure and strong, I feel as though I were in a Catholic mass. It’s a little sharp for my tastes, and the soapiness is definitely excessive by my standards, but at least there is no mustiness. I like the hint of nuttiness sweetness that comes more from the sweet myrrh than the amber, but I can feel the latter stirring in the base, emitting out a subtle warmth. Even better is the streak of quiet creaminess from the tonka that appears at the 2.5 hour mark, replacing the lemony elemi and turning Lavs smoother and softer. The elemi sap may be gone, but a subtle suggestion of woodiness remains. As a whole, Lavs is primarily clean, soapy High Mass incense laced with creaminess, muted spiciness, and small slivers of woodiness. Lavs remains that way for quite a while. At the end of the 6th hour, it becomes a skin scent that is simply incense with cleanness and a bit of spice. Yet, an hour later, the amber suddenly emerges, seeping upwards from the base, adding a quiet sweetness and a definite golden glow. By the end of the 9th hour, Lavs has turned into sweetened, vaguely ambered incense. Let me be clear, though, the labdanum is absolutely undetectable in any solid, concrete way, but there is no denying the warmth and golden feel. The result is much less High Church, and significantly more rounded, if that makes sense. The tonka’s creaminess has faded away, but hints of the opoponax’s nutty sweetness remain. Once in a blue moon, a suggestion of woodiness passes as if on a breeze but, generally, that aspect of the scent has faded away as well. In its final hours, all that is left is sweet, nutty incense with a touch of golden warmth from the labdanum. Lavs had good longevity and moderate sillage, but it is generally a soft fragrance on my skin after the first two hours. Using 3 smears equal to 2 good sprays from an actual bottle, Lavs opened with 2 to 3 inches of projection, but a surprising 6-7 inches of sillage. At the end of the 2nd hour, the projection dropped to 1 inch above the skin, but the scent trail was roughly about 4 inches. Lavs became a skin scent after 5.75 hours, but was still easy to detect up close and without much effort for a while to come. It finally died away 10.75 hours from the start. It’s not a secret I’m a frankincense freak but, honestly, LAVS is a concrete step forward in its genre and a very substantial one for countless reasons. For starters, it’s tremendously striking for its incredible evocative power. Its uniqueness, its ability to get so close to the main theme while skipping being too simplistically literal and, last but not least, the quality of the ingredients involved. […] Forget the usual cedarwood, forget the typical mono-dimensionality of most incense-soliflores, forget those exhausting woodyambers. LAVS is incredibly alive, vibrating and vivid as only this biblical resin can get. Addictive, introspective, dark and deep as well as spacious, airy and yes, even epic. … It has this ecclesiastical workshop vibe, a wax and ash one a smoky wood accord that vaguely resembles a church’s repository room. The incense feels stale and there is a herbal metallic undertone and a burned smell reminiscent of snuffed out candles and matches. At the beginning it feels harsh but winds down in a balsamic amber drydown with a floral airy aspect, which envelops the wearer beautifully. The settling takes time since this is an extrait de parfum. There everything feels more refined and properly in place. However the construction feels a tad primitive, a short of a rough draft, with all the angles unpolished. Furthermore, the metallic undertone, although fleeting is somehow annoying and the fragrance is a bit more aggressive than I would have normally liked. According to the background story I was expecting not only to experience THE meditative experience but more of a sacred awe. As it is, the fragrance has elements that I like but it neither strikes me as the best incense perfume around nor as the most complete and balanced composition. “Lavs” to my nose is 100% frankincense. Sharp, piney, lemony, herbal, sweet, smoky frankincense. I don’t smell much oppoponax here. Perhaps in the dry down, when the sweetness really takes over, it could be perceived as such, but to me it smells more like dill, not the honeyed molasses tones which I would associate with oppoponax oil. However, palisander does have a dill-like quality to me, so perhaps this would explain it? I don’t get prominent labdanum either, a note which I am normally very sensitive too. It doesn’t have that tangy medicinal quality (thank god). As for jasmine, I can’t pick up on anything remotely floral, at any stage. 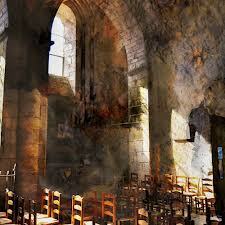 Since the whole Avignon-worship gene passed me by, I can’t talk in depth about how Lavs may compare. My memory of it was a soapy, very cold, unpleasantly musty, High Church fustiness with a very synthetic feel, but I no longer have my sample to do a side-by-side analysis. I’ve never tried Armani‘s Bois d’Encens. However, I did try Heeley‘s Cardinal, and hated it for its synthetics and its soapiness. One thing I can tell you is that Lavs has zero similarity to Sahara Noir on my skin. Nor is there any resemblance to Profumum‘s Olibanum which some people think is a strong alternative to Avignon, despite being primarily frankincense-based. For me, Olibanum has strong herbaceous, pine, and fruity aspects which separate it from purely liturgical scents. A slightly closer comparison might be to Arte Profumi‘s Ecclesiae which starts off as myrrh High Church incense before turning warmer, spicier, ambered, and sweeter, with creamy opoponax as well as frankincense. Still, the two fragrances ultimately smell nothing alike, and Lavs is more monolithic, less of a hybrid, and purer in aroma, as well as richer, deeper, and stronger in nature. The one area where I think Lavs well and truly stands out is something mentioned by Alfarom and some of the Fragrantica posters: quality. This smells like really high-end incense with enormous smoothness and naturalism. Actually, all the materials smell rich, deep, and like absolutes. 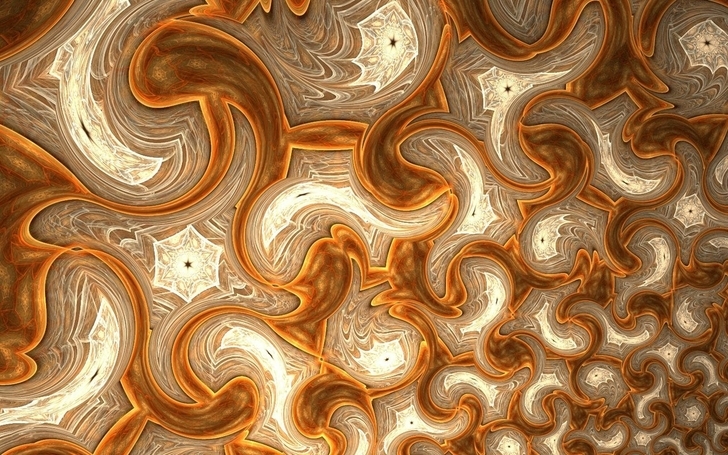 There are no obvious synthetics to muck things up or to cheapen the scent. The fragrance as a whole is seamlessly blended, though perhaps a little too much so since I couldn’t detect the jasmine at all and the spices were generally quite faceless on my skin. Still, it’s an impressive scent that is very nicely done. 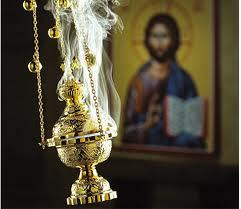 I may not like High Church fragrances, but I strongly recommend trying Lavs for yourself if you love liturgical incense. Unum is not carried at a lot of places and almost none of those offer samples, but America’s Twisted Lily does and they ship worldwide. As a side note, you may want to consider their customizable sample set where you choose the fragrances, because Unum has two other parfums or extraits as well: a rose one (Rose Nigra) and a jasmine one (Opus 1144). I hope to have a review for Opus 1144 at the end of the week, perhaps after covering another fragrance, because I want more time to make up my mind. All I’ll say now is that it is a very old-school spicy jasmine-vanilla floriental with syrupy sweetness, smokiness, and strong echoes of both Shalimar and L’Heure Bleue, combined together with a touch of acridness. If you’re a fan of either vintage Guerlain or florientals in general, you may want to put that one on your sample list as well. [Update: the full review for Opus 1144 has been posted.] As for Rose Nigra, I don’t go out of my way to cover rose scents if I can help it, but you can read Alfarom’s assessment on the Nero Profumo website if you’re interested. He calls it a “transparent fruity woody concoction” with a classical profile. All in all, Unum is a house worth checking out. Plus, Pope Francis and Pope Benedict would approve, which is something I never ever thought I’d say in a perfume review. Cost & Availability: Lavs is an extrait de parfum that comes in a 100 ml (sometimes stated at being 110 ml) bottle for $220 or €175. There is also an accompanying candle. In the U.S.: Twisted Lily seems to be Unum’s exclusive retailer in America. They sell Lavs, samples, the candle, and ship worldwide, but they are back-ordered on the fragrance at the time of this review. See below for the link to their customizable sample packs. 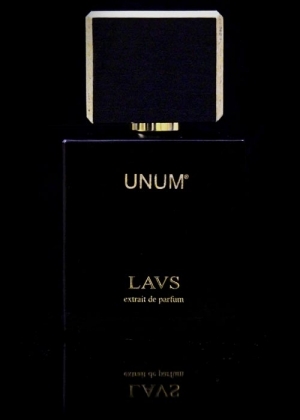 Outside of the U.S.: In Europe, you can buy Lavs directly from Unum, but be aware that the bottle looks a bit different on their e-store page than what is shown everywhere else, including on the main Unum website. Unum only ships within the EU. Elsewhere, you can find Lavs at Italy’s Neos1911 which I think may be part of Alla Violetta. Italy’s Narcisse sells the Lavs room spray for €55, and the parfum for €175. Spain’s Tienda will get the parfum soon, but sells it for above retail at €275. I haven’t found any other retailers. Samples: Surrender to Chance normally has Lavs starting at $3.49 for a 1/2 ml vial, but they are sold out at the moment. A notice states they will get another bottle in May, which is already past, so they may get Lavs soon. In the meantime, your best bet is Twisted Lily which sells a sample for $4 and ships worldwide. In general, Twisted Lily offers custom Sample Packs which costs $18 for 5 fragrances of your choice in 1 ml vials, or $36 for 10. Simply list the fragrances you want at checkout. 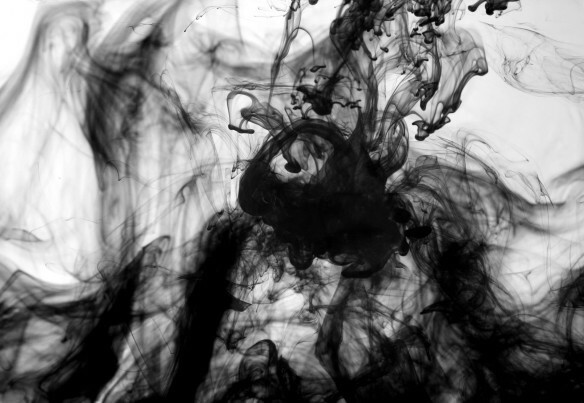 This entry was posted in ALL OTHER HOUSES, Perfume Review, Smoky or Incense Fragrances, UNUM and tagged Avignon, Filippo Sorcinelli, Incense fragrances, Lavs, Lavs fragrance review, Myrrh fragrances, opoponax, papal incense, Unum, Unum incense, Unum Lavs, Unum Lavs fragrance review by Kafkaesque. Bookmark the permalink. For me, Black Gemstone is about frankincense that skews black and oriental, and it has zero High Church/Catholic Mass feel at all. Black Gemstone also doesn’t include any myrrh (or sweet myrrh) to my memory at all, so it’s a completely different sort of smoke/incense. I’m glad to hear that you’re enjoying both Kalemat Amber and Floral oils. But you also bought Kalemat Musk???! After my review where I said I was hiding my arm or trying to go to sleep to avoid the smell, and then scrubbed it off?! Boy, you really have guts. LOL. I’m not surprised it made you wretch. I’m also not surprised that the Kalemat Floral turned heads, because it really is a huge compliment-getter, in my experience. Ok! Thanks for the update.I believe Black Gemstone contains Myrrrh “tar”.I just grabbed my bottle and sprayed with abandon and now I’m in heaven 🙂 And I did order the Kalemat Amber and Floral blind (I have the original Kalemat) and the nice gentleman in London kindly enclosed a few samples including 2 boxed samples of Kalemat Musk….so no big loss there except for a few fried olfactory synapses.My go to musk is an intensely dark floral animalic musk called Sunna Musk by ASAQ. Hello, thank you for Your review. :). I just want to say That the italian website narcisse sells the room spray at 55 Eur , not the eau de parfum That it’s listed at 175eur. :). reviews and always follow Alfarom/Nero Profumo. On a side note: I am getting frightfully low with my bag of samples. Out of the 40, I’m down to 8! This was a great review K. Thanks. I hoped you would review Lavs, and getting to know it the last weeks it is a joy to read it. In the first hour or so, I get a note of what I associate with pine, and a particular brand of showerproduct that I absolutely loved as a child (Badedas, I don’t know if it is known in the US). Now I think it must be the elemi. This adds to my appreciation for Lavs, btw, it is a very positive association. I can very much relate to the clean, but not soapy sense you experienced, as well as this pristine quality, which could be experienced as cold or ‘stand off ish’, but not by me. 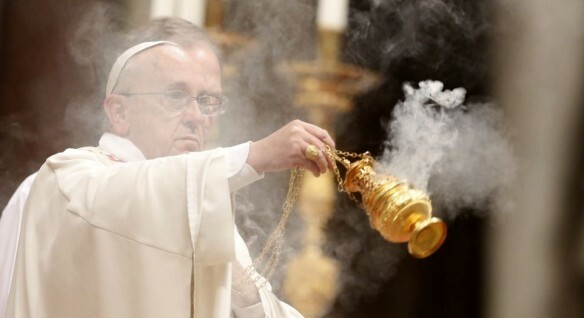 This is one of the reasons why I am so struck by it, it has the effect that real incense has, a cleansing through smoke. Ofcourse in Oman incense is burned all the time, and although there are similarities, it seems Omani incense is warmer, and I would describe its (scent) colour as golden, whilst Lavs ‘smells’ more silver. I was very pleased with the service provided by Neos1911, I received a lot of very good samples, including the other Unums. It appears we have both GSDs and Badedas in common! It was juniper based…. That is the best news! I am so relieved to read it, for you and for his Lordship. Madame A. says you are welcome anytime to come and kiss her paws. Thank you for your elaboration on elemi and Badedas! Many hugs for you and Z.
I was giggling with glee all the way through your review. 🙂 I LOVE myrrh, frankincense and High Church fragrances. I’m quite please to read that it’s also wearable. I mean, there’s literal and LITERAL. The background of the perfume and its house makes quite an interesting story, too. I can’t wait to try it! It’s just a shame it’s not more widely available. Sending positive thoughts to you and your German! I’ll try that then, and will report back if I manage to try Lavs. I went and sprayed Lavs on before I sat down to read this review. I love it. I have FBs of both Lavs and Opus 1144. I adore the Lavs. I have two reservations about the Opus 1144. First, I personally don’t like the lime note at the top. Lime is, along with lavender and cumin, a note I tend to avoid. Once that subsides I am quite happy with the scent. My other reservation is that when I wear Opus everyone says “are you wearing baby powder?” At that price level, baby powder is not the effect I was going for. I have yet to spring for the Rosa Nigra, though I found it lovely, with a much more realistic peach note than whatever Kilian scent that was that I had to give away. PS I’m honored to be quoted in a review by the esteemed Kafkaesque (rp6969). By the way, I just stumbled upon another scent that I adore despite it’s containing lavender. Dasein’s Winter. One sniff and I was hooked and ordered a FB. Liaisons Dangereuses is the Kilian I was remembering. Oh dear, people thinking that you’re wearing baby powder is not quite what one hopes for, so it’s a shame that Opus 1144 skews that extreme on your skin. It doesn’t go that far on mine, but I’m really not sure if it is for me personally for other reasons. It’s has a certain quality and balance issue that I struggle with, but I do think that it’s a fragrance that lovers of certain genres should try. I’m so glad you reviewed Lavs (and that you weren’t horrified by it). I have a small decant on its way to me and since I can usually count on you to sniff out any jarring aromachemicals for me I’m really looking forward to trying it. Heh re. the “jarring aromachemicals” issue. 😀 I hope Lavs ends up working out perfectly for you, Mikasminion. I felt the same way you did about Avignon, except for me it was also very sour and sweaty. I really did not like it and regretted purchasing a 10 ML decant of it. Admittedly the western “churchy” fragrances I have smelled so far (such as Avignon, Messe de Minuit, etc) all have that sour note. It has been a very long time since I stepped foot into a Catholic church so I’m sure the scents were all quite accurate, I just don’t have the mental association. On a side note, I purchased a sample of Puredistance M the other day thanks to your enthusiastic review of it, as I was looking for a good leather fragrance. I absolutely adore it, it’s one of the richest, smoothest leathers I have ever smelled… and incredibly strong, I usually cannot smell my own fragrance an hour or so later but this just lasts and lasts (I put it on this morning and can still smell it now!) Too bad the price is stratospheric..
“Sour and sweaty” does NOT sound good for any fragrance, but particularly not for an incense one. lol. As for “M,” I’m so glad you loved it. I’m not surprised you found it strong if the Jean-Claude Ellena style or aesthetic is your more typical thing (I’m teasing, I couldn’t resist 😀 ), but it is a very deep, rich scent. You’re right about the pricing, but a little “M” goes a long way and the 17.5 ml spray isn’t too outrageously priced, so perhaps that may be something to consider if you ever end up finding the fragrance totally addictive? I have the 17.5, and though I hoard the scent, it is lovely to be able to enjoy it once in a while. I am intrigued by this. I do need to get to Twisted Lily as I haven’t been there in a while AND I have a $20 off coupon. Isn’t it frustrating that such a well-made fragrance is not your cup of tea? As to The Hairy German, I am glad he is better! It’s definitely frustrating to come across a fragrance that is objectively so well-done and clearly impressive in its genre, but not to like that genre very much as a whole. lol. I keep hoping that I’ll find one liturgical incense fragrance that will change my views, but I think I simply prefer oriental, black frankincense and none of this High Church/myrrh business. My skin really doesn’t comply with the latter, because it always brings out that dreaded soapiness. Still, I can see why there has been so much fuss about Lavs, and the quality is definitely there. I love incense, it’s probably my favorite note. High church, low church, whatever 😉 I had an odd experience with Lavs though. Certainly the quality of the scent is readily apparent, but I had an actual anaphylactic allergic reaction to it: metallic taste in the mouth, difficulty breathing… scrubbed it off ASAP and slapped a bunch of cortisone on my reddened skin. First time I’ve ever had this sort of reaction to a perfume. I wish I knew what ingredient triggered that; to my knowledge the only other substance that I react to in that way is sulfa antibiotics. Most peculiar! Glad to hear your baby is doing better.